Start with the basics. Proper soil preparation is the key to a healthy looking garden. Try to match the colors and properties of the flowers you mix. Use flowers and plants with similar needs: water, sun and soil conditions, so they all maintain a nice appearance. Analyze the surroundings. Plant your flowers in an appropriate place for them to grow, if you plant them near mature trees, its roots will absorb the nutrients and provide shade making it difficult for flowers to blossom. 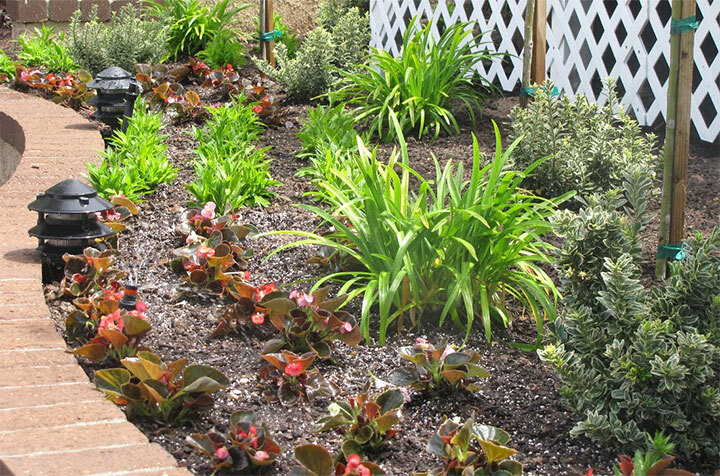 Look for places to create new flower beds, borders or islands in a place where they look great and get the nutrients they need. Be aware of the style and architecture of your home. Also the background for the landscape. Keep in mind the size of your yard available for gardening. Try to use appropriate plants for each size, so none of them provide shade or restrict airflow to the others. You can call Gonzalez Plant and Tree services to help achieve the garden of your dreams; we will make sure to exceed your expectations with a garden that reflects your personality and taste.